For the longest time, Cadillac was at a disadvantage relative to its competition by not having a trim level structure that correlated to market trends and desires: whereas other luxury automakers offered a choice of Luxury and Sport trim levels that included appropriate levels of differentiated features and equipment, new Cadillac models did not offer anything to those who desired a sportier trim level. 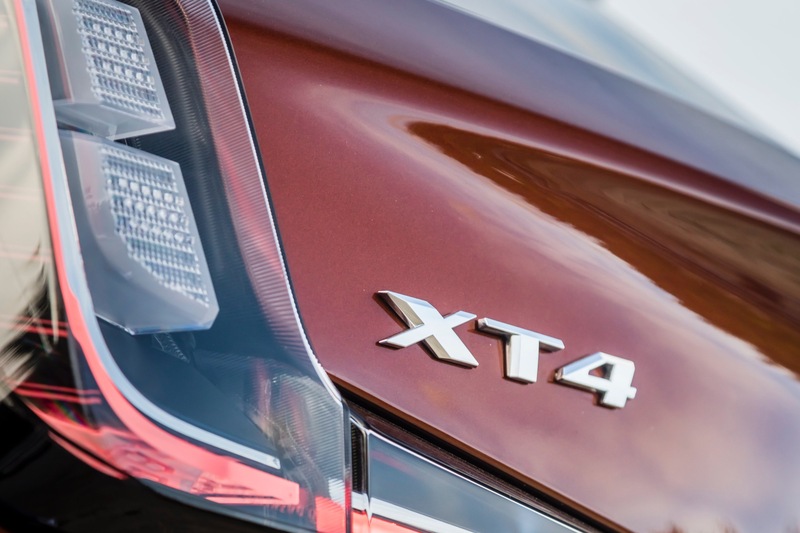 Luckily, that all changed with the introduction of the 2019 XT4 and 2019 Cadillac CT6, which introduce the Cadillac’s new Y trim level strategy. 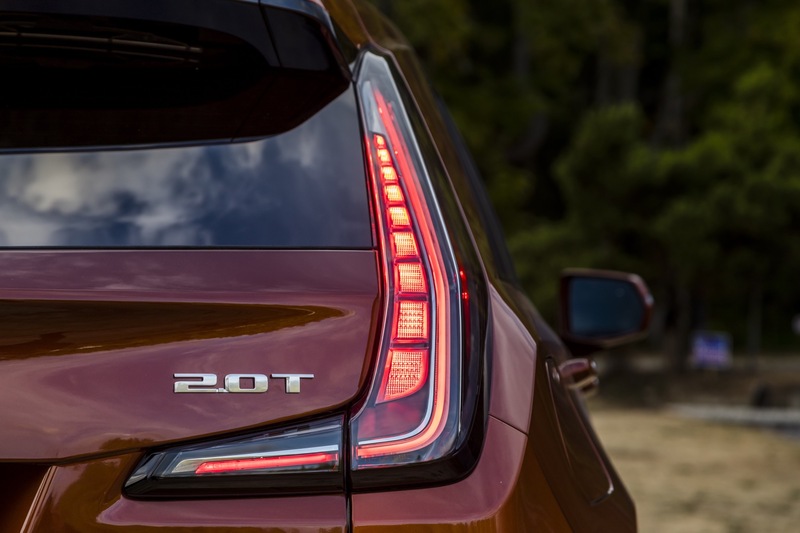 That approach splits out the vehicle trims by Luxury and Sport models, finally giving new Cadillac models the appropriate trim level structure to be competitive. And while the Sport trim does a very good job at differentiating models from vehicles in the Luxury trim, it seems to come up short by missing one key detail. In all, the new Cadillac Sport trim level doesn’t do anything that the competition hasn’t been doing for years: it takes a well-equipped model and gives it a sportier suspension along with more aggressive exterior design characteristics such as a blacked-out grille, black window moldings, black roof rails (on crossovers), unique front and rear fascias with clear taillight lenses, and larger wheels with a more sinister design pattern. The entire point of Sport models can be summed up in two words: more black. Following that logic and value proposition, the Cadillac Sport models should also go the extra step and black out the badging… but they don’t. 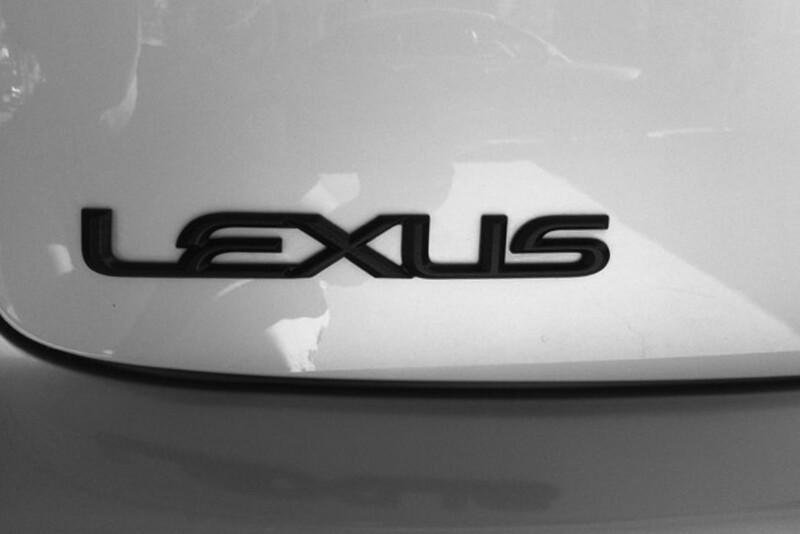 A regular Lexus logo next to a dark Lexus logo. Lexus offers darker badges, called Pearl Black, from the factory. Meanwhile, Cadillac’s direct rivals offer blacked-out badges. Lexus, for instance, offers the option to black out the badges on its vehicles, either as a standalone package or as part of the F-Sport model line, which is what Cadillac seems to have modeled its Sport trim level after. And though the color of the badges might seem trivial, it’s difficult to argue against the notion that a dark set of badges would complete the Sport trim. Hence, we bring forth the notion that new Cadillac models should offer a blacked-out badge option, especially on models with the Sport trim. After all, when it comes to luxury automobiles, it’s the details that matter. Ultimately, customers notice when a product maker pays attention to the details, and become even more satisfied with the product in question. In Cadillac’s case, its Sport models are 95 percent there, which is good enough… but the brand should aim a little higher, or risk that its offerings become less attractive to a certain subset of the car-buying public. Cadillac does not pay attention to details. That would take too much work. The “Good Enough” attitude allows more time for lunch. Just go sit in a Lexus and then a Cadillac, you would think that the Lexus costs thousands more. Then, if you drive the Lexus, the smooth engine, the refined transmission, the the quiet cabin makes it game over. Precisely. It’s all about the details… and Cadillac’s lack of attention to the details is not inspiring. Audi and Mercedes-Benz, for instance, even engineer the way the buttons, knobs and toggles inside their cars feel and the sounds they make. That has yet to take place at Cadillac. More disheartening is that it doesn’t cost any more to actually engineer these items during development or to bring them to market during production. It’s simply a matter of doing it… paying attention to the details. And the market knows this hence the lackluster sales for Cadillac. Lets just be honest, GM refuses to let Cadillac pay up to truly become a Tier One Luxury Brand. I mean the new XT6 doesn’t even use the so called exclusive Cadillac V6 let alone have its own interior. It is comical to me what GM has been doing to Cadillac. It is a real shame. Cadillac deserves much better. If you want blackout stuff why dont you just have them ordered and the dealer will install them for you! Or imagine even doing it yourself! I know what a concept! People that actually work on their own cars! This is the best approach because then your car has a very unique look that stands out from the rest! If you get a package offered from the manufacturer then 25k people will have the same looking car as yours! People find some creative ideas and live a little! Don’t like them but it should be an option. GM is getting bad with options and choices, @silverado. Vsport is a great spot package. I have one. It drives great! It’s probably a bit too sporty for the average person. You are right that it could have used a better appearance package. All it has are badges. Thatb said, I never understood the thinking behind the XTS Vsport. For that matter, I never understood the point for the XTS at all. Not really on the level of Cadillac. I am with you Sigurd. All of that other stuff is nice but a little more go would make it a lot nicer. And it’s infuriating, GM can hit the ball out of the park when they actually try with powertrains, but we still get this half-assing trend in every division where cars don’t have competitive power. We have a 2018 Cadillac ATS-V….has more horsepower than my Corvette Z51 2014. Terrific car, Brembo brakes, Twin-Turbo V6, Recaro Seats etc, etc. Choices also. Had 2 other Cadillacs, ’08 CTS, ’13 ATS….loads of choices of sporty or otherwise levels. Who are the aliens who want to buy a $75,000 car that’s ALL BLACK ! Or, has a fish’s open mouth like a Lexus front. Who designed these things? I previously owned Infiniti G35, Acura Coupe, Honda, 3 Camaros, 4 Mustangs 7 Corvettes etc. I think I have some experienced comments to make….but, what do I know. Viva Cadillac. The answer to that question is very simple and straightforward: Lexus outsells Cadillac almost two-fold… so there must be enough of those aliens out there. It’s a circumstance that I don’t personally like either, but therein lies the rub: that fact that you and I do not like Lexus’ styling is a sentiment that clearly does not resonate with the overwhelming majority of luxury car buyers out there. But it goes a step further than that: we all have owned some cars here and there, which is great. But that doesn’t automatically qualify all of us to understand what car buyers want to buy, en masse… and what they want doesn’t seem to align with our personal tastes/desires in automobiles. That’s an important distinction to be cognizant of in a conversation that involves enacting MAJOR change to increase sales in a MAJOR way at Cadillac. To that end, the ATS-V would have been a better car with the 6.2L V8 LT1 from your Corvette, which it was initially supposed to have had. As far as the badging goes: I don’t think anyone is talking about an ALL BLACK car. No, we’re talking about making TASTEFUL changes on SELECT content that complement the vehicle’s sporty persona. There is a major difference between that and having an all-black car. I know you guys are going to hate this, but Toyota and Lexus have a SO MUCH BETTER CUSTOMER SERVICE. I just can’t believe that GM hasn’t figured out the Lexus sales are do to CUSTOMER SERVICE. I too personally do not like the Lexus look but you can not argue with the people doing it, they are doing it. I dont care about customer service!!! I dont buy a car or truck because it has a good dealership! I buy a car because of the car or truck! People will just makeup reasons not to buy from GM! The dealer is also my most DISLIKED part of vehicle ownership. I don’t go there AT ALL, except recalls and warranty work. But even in those situations I despise it. However the luxury car buyer wants a reliable vehicle. Pay once “done”. With Lexus that’s what you get. With Cadillac I personally have a stack of letters on my ATS of things to go wrong. Letters from Cadillac, from GM. I don’t want a letter I want a reliable vehicle. I don’t want to be driving down the road thinking and waiting for the things GM knows are wrong with my vehicle to fail, I want a reliable vehicle that I can drive without the stress, without the worry, that’s why I used to buy Cadillac. Brian its people like you that have gotten Cadillac in this trouble. The that’s good enough attitude keeps the Cadillac behind and the competition moving forward. How about release handles in the back to drop down the rear seats. I mean I honestly just DO NOT understand GM sometimes. GMC has already adopted the black logos so it is not necessarily a Lexus only thing. I would just call it a Black Edition or make it part of the Black Ice package so it doesn’t look like it is as simple as copying what Lexus is doing. No one is saying it’s a Lexus only thing… but the fact remains that Cadillac is NOT doing it. A customer does not concern herself/himself with whether other GM brand have adopted a certain feature or option when cross-shopping a Cadillac and a Lexus, Mercedes-Benz or BMW. If Cadillac loses at that cross-shop, then GM loses just as well. Everyone copies everyone else… but if you must copy, might as well copy the best. 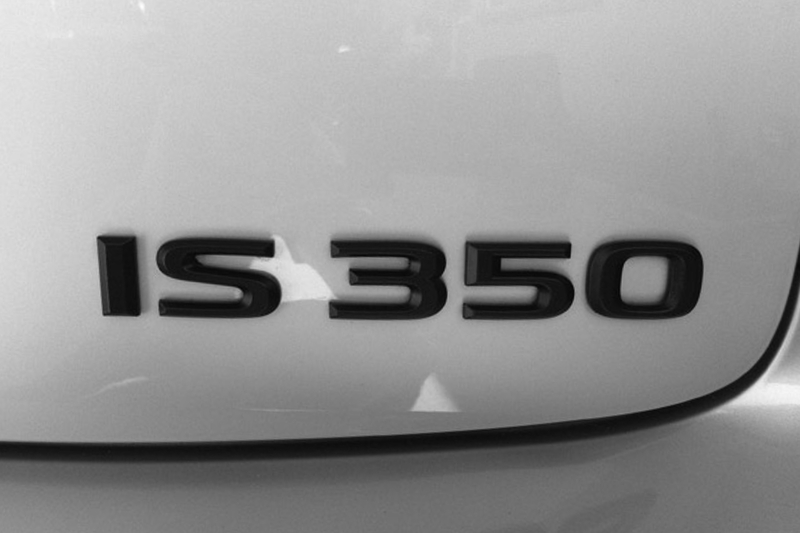 As it stands now, Lexus does badging options/colors the best… so might as well copy them. I dont think I’ve ever met a person that didn’t buy a car because they didn’t like what the emblems looked like! I voted for all black but I think the badging should be the color of the car with a black outline would even look better. I doubt you’ll collect enough dust on a dark badge… that is, unless pretty much all you do is drive on a dusty back-country road… in which case the entire vehicle will be dusty regardless of color, badges included. Regarding the XT4, The designers did some hard work to get just the right look for Cadillac. It is both sporty and refined. That said, the vehicle could use a least one engine option to 265 hp, and another V sport up to 310 hp. Add to this some upgraded refinement details, and customers would pay up for notable upgrades. Sport should equate to some more power with handling upgrades, tires,brakes and special shocks. I still like the existing model, but Cadillac need to add some performance options, for customers who want to make their vehicle more special. available on the Sport, with more cornering, MRC, more HP. But when adding the perf Pkg, have the option of summer tires or all season perf tires. Guys, let’s revisit the strategy and remember that the Sport trim is simply a “step up” from the base Luxury trim… and that there are two more trim levels above Sport that provide an opportunity for more performance and power. To recap: the base trim across the board is Luxury. From there, the Y split takes place. This strategy allows the Sport trim to be limited to appearance changes and no mechanical upgrades (perhaps with the exception of a firmer suspension system). It is for those who do not care about performance, but want the looks. This represents the overwhelming majority of today’s luxury car buyers. Meanwhile, the V-Sport and V trims should bring more appearance upgrades and the performance upgrades, as appropriate. The strategy is sound and is highly effective. It’s the detail-level execution within each trim that needs to be tweaked… with a prime example being the badges referenced in the article. I do like the Y Strategy too. The XT4 should get Platinum and V-Sport versions. Both should be the same price. The Platinum one should be ultra Luxurious. with a more powerful engine. A V-Series Cadillac CUV is probably wishful thinking by us. GM unfortunately is not about that lifestyle LOL. Hope I am 100% wrong and GM surprises us. Corvette offered blackout badges from the parts department on the C7 to augment the black factory installed option. It proved so successful that black factory badges were made available throughout the line. Looking around at C7s at Carlisle and Woodward, I’d say a whole lot of buyers opt for the factory option or put them on themselves. It’s no big deal, so why the hesitation Cadillac? the usa is biggest market for luxury , catilac doesn’t realize, you lead, not follow, they should cater too wealthy “buy american” retirees that already have their $65,000 pickup, but want flash and power second “toy” . they schould not try to cater to the same people that would pay $2000 to $3000 over sticker for a honda accord or toyota camray, in the early 1980’s. those people are in retirement or near retirement, those buyers are a lost cause. They need to cater to all buyers, not just affirmative action “buy American” buyers. Fact is that there aren’t enough affirmative action buyers to keep all the American automakers solvent in a bad recession. Personally I don’t like badges at all, let alone black ones. But they should offer them alongside badge delete option. They need to do an alternate bodywork for the Sport trim or at the very least color match the plastic body cladding, a grille & clear taillights don’t cut it. Unique Interior touches would be cool too. Everyone is offering a sporty bodykit on their “sport” trim, except for Cadillac. This is the problem with the buying public. Seats!!! You buy a car, truck based on what the seats are like!!! See we used pick vehicles based on performance, handling, braking! Now we care about buttons, and seats, and door panels. These people are destroying the car and truck driving experience. Performance seats are what you need not a lazy body to drive down the road. I hate that the manufacturers cater to these people.